Heat Transfer Foil produces a metallic finish for a fashionable effect on any garment or promotional piece which has been pre-printed with either CAD-Cut Adhesive, silk-screen inks, plastisol-based custom heat transfers or ExactPrint CLC heat transfer paper. 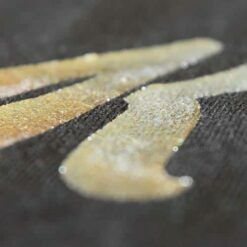 After printing the intended design, the foil is placed over the printed area, heat-applied and then removed to reveal a foil finish which is retail-quality and complies with industry standard wash tests. 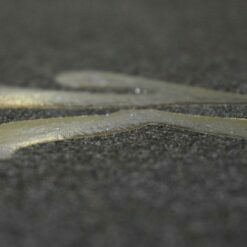 It’s available in 300mm wide rolls of either 5m or 30m, and is available in 11 metallic finishes. Do not iron directly over the transfer. Available in lengths of 5m or 30m. Black, Blue, Bronze, Gold, Green, Holographic, Petrol, Pink, Rainbow, Red, Silver.